Brad Wertheimer, Esq handles criminal defense and consumer fraud cases throughout the Philadelphia and South Jersey region. 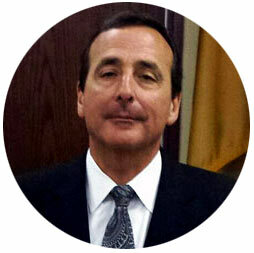 He has over 35 years experience practicing law, including 25 years as a Senior Trial Attorney for the New Jersey Office to the Public Defender. Brad can advise or represent you at any stage of your criminal matter including before charges are filed, during your pretrial hearings, at trial, and through subsequent appeals, if necessary. Disclaimer: This website is for informational purposes only. It does not constitute legal advice or imply an attorney-client relationship, nor is it intended to substitute for the legal advice of a competent attorney licensed in your jurisdiction. We ask that you please do not send us confidential information via this website.